Before Europeans were raising dairy cows, small villagers all over the world found it easier to cultivate goats and sheep as a prolific source of milk. In southwest Europe and the Mediterranean, goat milk cheese is a staple, and its aged varieties are just as popular and delicious as its bovine counterparts. Palates in the U.S. that once scoffed at different goat cheese types which can tend to be sharper and tangier than cow’s milk, have been embracing its deep, rich intense flavors. You see, it’s not just the benefits of goat cheese, it’s the taste, too, that is encouraging so many people to ditch cow’s cheese for goat. There’s so many different types of goat cheese, so, as a primer, we’ve put together a list of our favorite goat milk cheese, ranging from the most common (yes, we mean chevre) to the more exotic. We’ve also included some recommendations for pairings (in the forms of wine, spreads, recipes, and more) so you can get the most enjoyment from this variety of goat cheese types. Read our list of goat cheeses below to become a veritable cheese monger for your household and learn all the names of goat cheeses! Most people think of this when they imagine the typical goat milk cheese. (There’s good reason for this: “chevre” translates literally as “goat.”) This goat milk cheese spreads easily on anything: crackers, breads, your finger. It is, in fact, very cream cheese-like, with its sharp flavor and silky smooth texture. Use it in place of mayonnaise on a turkey sandwich with a touch of sweet pepper or cranberry spread. Drop a few dollops into your favorite marinara sauce to kick up your next pasta supper. This made our list of goat cheeses as the only U.S. entry. This goat milk cheese is actually American in origin, and came out of the northern California food scene of the 1980s. It is aged in the rind, like brie, and has notes of a mild blue cheese. Serve this goat milk cheese at room temperature when it’s nice and soft with a loaf of crusty bread and a dry fruity white wine, like a Sauvignon Blanc. If you’ve never had feta cheese made from goat milk cheese, you’ve never really had feta. Greeks embrace this as one of their common national goat cheese types for its naturally creamy texture and deep, rich flavors. Sprinkle on your favorite salad along with some briny Kalamata olives, white beans and vine-ripe tomatoes. Serve alongside hummus and fava bean spread and some pita bread and a light rose on a summer evening for flavors of the Greek isles. The creamiest gouda you’ve ever had, this goat cheese originates from Holland. 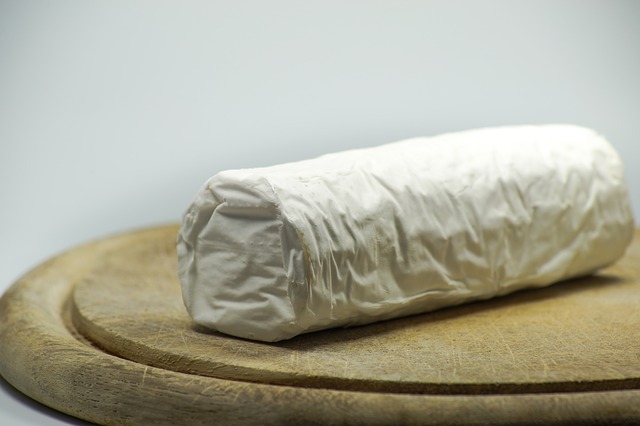 It has a smooth, clean finish and is softer and subtler than other types of Gouda, and doesn’t have quite the same bite as other goat cheese types. It makes maybe the best grilled cheese sandwiches on earth, and can sit front and center on your next cheese board with an accompaniment of quince paste and tomato jam. Let it sit at room temperature for best results. Brining rinds is a common method of seasoning cheese in Spain and perhaps nothing represents this tradition better than Drunken Goat cheese our favorite goat milk cheese. Also called Cabra al Vino or sometimes Murcia al Vino, you’ll know this as one of the most famous goat cheese types for its rose-colored brine, which contrasts the delicious creamy center waiting for you. It is soaked in wine for several days, which adds a complexity to its flavor that is almost impossible to describe. Serve with Spanish Jamon Iberico (or prosciutto if that’s in short supply) with a dense, hearty bread and a nice dish of Spanish olive oil for dipping. We dare you not to eat the entire wheel.